Elstead Dental Surgery provides all aspects of modern dental care, enabling you to achieve a healthy and attractive smile. We will take the time to discuss your dental health, your wishes and your concerns and advise you of the best treatment options available. We are passionate about preventative dentistry and this means identifying and treating potential dental problems before they become painful, complex or costly to treat. 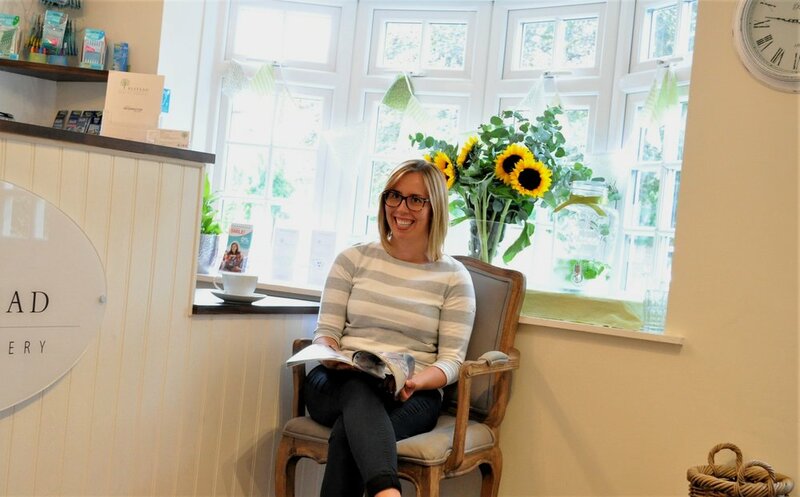 At Elstead Dental Surgery, we aim to make your visit as comfortable as possible and offer a friendly, relaxed and gentle approach to your treatment. Our dentists and support staff are specially trained to make your visit a better experience. Please let us know if you feel anxious about dental treatment and we can tailor your dental visit according to your wishes. If your appointment time becomes inconvenient for you, please contact us as soon as possible. This allows us to schedule in a patient who may be in urgent need of our care. We strive to accommodate the appointment needs of our patients, and make every effort to keep on time for appointments scheduled. Patients are advised that they will be charged a fee to cover surgery costs, if they give less than 24 hours notice for cancellation, or fail to be present for a scheduled appointment. This fee will equate to £30 per half an hour of clinical time lost. At Elstead Dental Surgery your safety, health and well-being is our priority. In order to maintain the highest standard of patient protection, cleanliness and sterilisation, we comply with or exceed British Dental Association guidelines in decontamination and infection control as well as with the latest national cross infection regulation HTM 01-05. We use disposable treatment items whenever possible and follow strict guidelines and procedures in instrument sterilisation and infection control. All members of our clinical staff undergo regular training in medical emergencies and radiation protection, decontamination and infection control as well as safeguarding children and adults at risk to ensure you are in safe hands. In order to reduce radiation exposure to our patients, we have invested in a state of the art digital x-ray system. We follow the guidance of Royal College of Surgeons (RCS ENG) to determine how often you need radiographs taken. Everyone who works at Elstead Dental Surgery has a legal duty to keep information about you confidential and we take confidentially very seriously. In providing your dental care and treatment, we will ask for information about you and your health. Occasionally, we may receive information from other providers who have been involved in providing your care. Click here to read more what type of information we hold, why we hold it and what we do with it. The practice is location on the ground floor and access is possible for disabled patients. Please contact the Surgery to discuss your specific requirements. We endeavour to give you the best service possible at all times, but there may be occasions when you feel you wish to express dissatisfaction. We offer an in-house procedure to deal with your concerns. This gives you the opportunity to discuss any problems which may have arisen. If you wish to make a complaint about the services of the practice, please contact our Practice Manager in the first instance. The term “[Elstead Dental Surgery]” or “us” or “we” refers to the owner of the website whose registered office is [The Green, Elstead, Surrey, GU8 6HA]. The term “you” refers to the user or viewer of our website. You may not create a link to this website from another website or document without [Elstead Dental Surgery]’s prior written consent. “Elstead Dental Surgery” is committed to ensuring that your privacy is protected. Should we ask you to provide certain information by which you can be identified when using this website, then you can be assured that it will only be used in accordance with this privacy statement. “Elstead Dental Surgery” may change this policy from time to time by updating this page. You should check this page from time to time to ensure that you are happy with any changes. This policy is effective from [01.08.2015]. What we do with the information we gather: We require this information to understand your needs and provide you with a better service, and in particular for the following reasons: Internal record keeping. We may use the information to improve our products and services. We may periodically send promotional email about new products, special offers or other information which we think you may find interesting using the email address which you have provided. From time to time, we may also use your information to contact you for market research purposes. We may contact you by email, phone, fax or mail. We may use the information to customise the website according to your interests. We will not sell, distribute or lease your personal information to third parties unless we have your permission or are required by law to do so. We may use your personal information to send you promotional information about third parties which we think you may find interesting if you tell us that you wish this to happen. You may request details of personal information which we hold about you under the Data Protection Act 1998. A small fee will be payable. If you would like a copy of the information held on you please write to [Elstead Dental Surgery, The Green, Elstead, Surrey GU8 6HA]. If you believe that any information we are holding on you is incorrect or incomplete, please write to or email us as soon as possible, at the above address. We will promptly correct any information found to be incorrect.